Griffin is a fairly humble guy, so you won't catch him in front of the camera or hanging out at the shop all that often. He works hard, and he knows his craft, but he would hardly admit to either. Later this year, we will hit the 10-year anniversary of Griffin being the shaper and lead surfboard designer of Almond Surfboards. Griffin and I have each dedicated about 1/3 of our lives to developing, testing, and building the best surfboards we can to enhance your surf experience—and we firmly believe our best years are still ahead of us. In honor of the last ten years, and the ever-changing landscape of the surfboard industry, I thought it would be appropriate to acknowledge the shapers who came before us, and the ones who directly and indirectly made what we do possible. As you may already know, Griffin got his start in the shaping bay apprenticing for Bruce Jones. Even before Bruce let him shadow for a few months, Griffin had been putting his time in—gluing up stringers at Walker Blanks, hot-coating boards at Clearwater Glassing, and sweeping floors for Bruce. Bruce, like many of the most reputable shapers in California's rich surfboard building history, got his start at Hobie. He worked at the Hobie factory with shapers like Terry Martin, Dale Velzy, and Phil Edwards. According to an interview I read with Bruce, it was Phil Edwards who first invited Bruce into the shaping bay at Hobie. The early Hobie factory saw the likes of Alter, Martin, Edwards, Velzy, Mickey Munoz, Joe Quigg, Bruce Jones, and many more take the reigns of a planer. 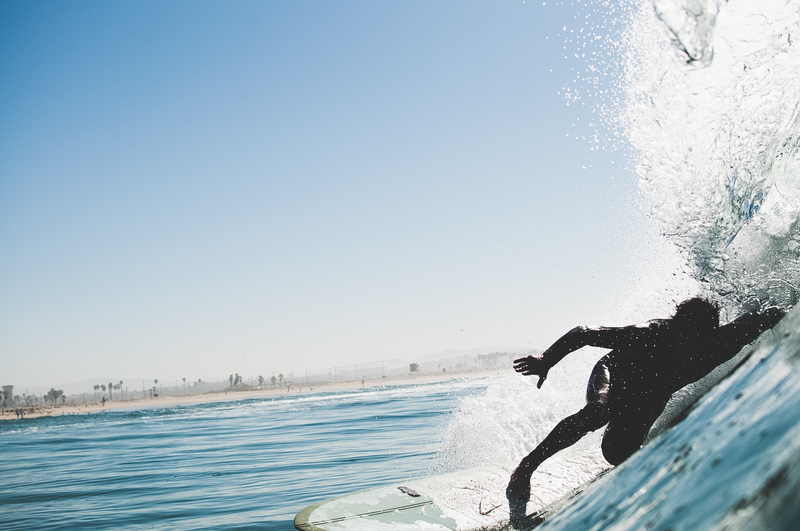 In the 60's there were 6,500 hand-shaped surfboards per year being built in that factory. Those men of the 1950's and 60's shaped the future of the surfing world, through the work they did in the shaping bay and in the water. As surfers in 2018, we all benefit from the imaginative work done by those who came before us. At Almond, we get to benefit in an incredibly special way, because Phil Edwards was gracious enough to offer an opportunity to Bruce, and Bruce was gracious enough to offer and opportunity to Griffin. 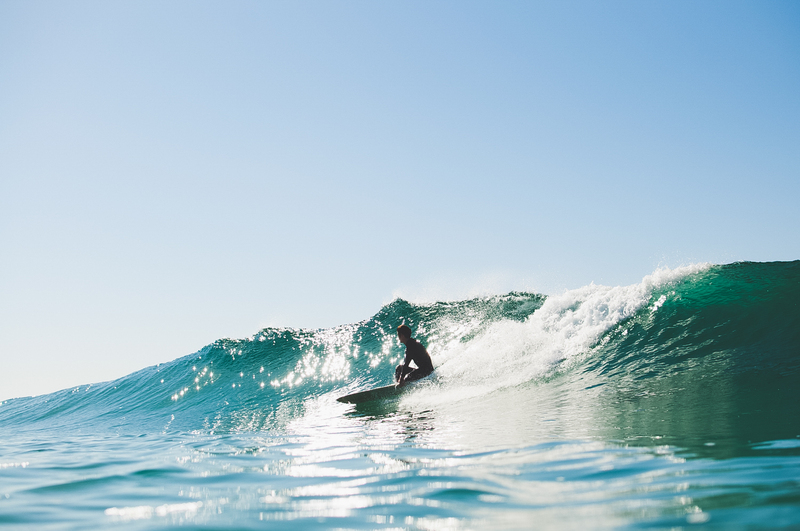 Our first loyalty is to our customers, and the surfers providing insightful feedback, but we can't lose sight of the heritage that we are a small part of, and the role we play in shaping the future of the surfboard industry in California. Yesterday marks the 6-Year anniversary of the grand opening of Almond Surfboards. On March 8, 2009 we opened the first shop on Old Newport Blvd. I remember the blissful excitement of inviting people into that space for the first time. We’ve learned more, and met more good people, than I could have imagined. Very thankful and blessed to look back on 6 years of striving and dreaming and working towards creating something meaningful and rewarding. Thank you for all of your inspiration and support. None of it is possible without you. 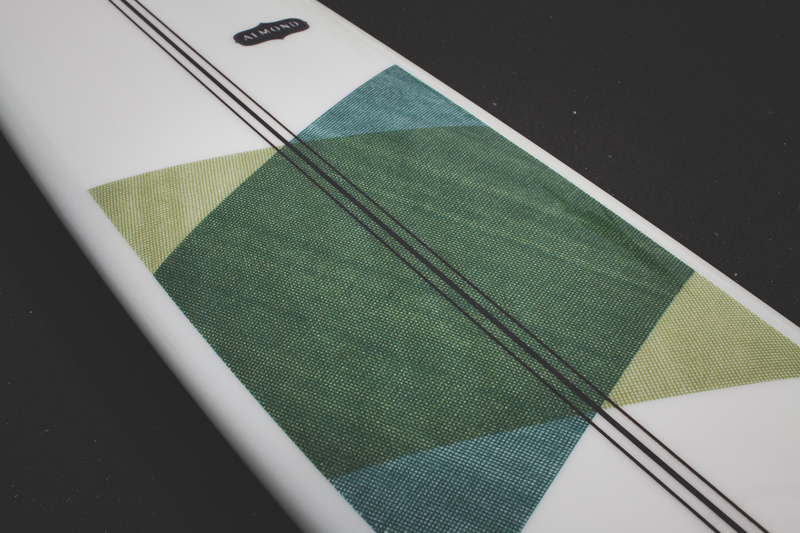 Griffin has walked the length of nearly 4000 surfboard blanks, planer in hand. I’m lucky to get to work with a guy like Griffin who never expected anything, he got his start sweeping floors at a glass shop and working his tail off for years, in order to eventually get an apprenticeship with Bruce Jones. Griffin is a student of his craft and a dedicated knuckle-buster. Thankful for all the sweat, sweat, sweat and tears. Here’s to the next 4k…! We spend a lot of time talking about the way we do things, and how to improve. 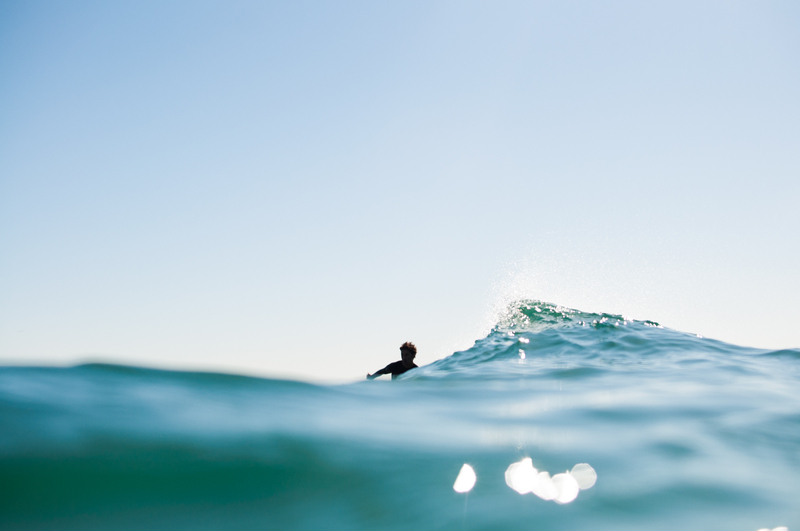 This applies to everything from surfboard models to the way we function as a business. We’re continually working on doing more of the things that we’re good at, and improving in the areas that we’re weakest in. Occasionally this means dropping a product from the line, or re-designing a board model. In this case, Griffin has been itching to update the Cash-Yew model for quite some time. He’s been riding the prototype 6’10 Cash-Yew-2 in as many different waves as he can. 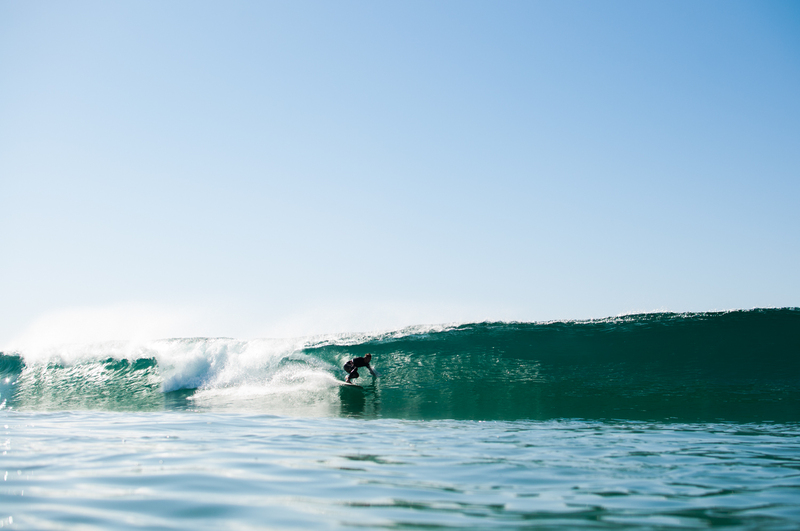 Griffin linked up with Drew Messeck yesterday to find some waves a little South of here. Fortunately for me, Sam Meseroll was there to snap a few photos. Art of Manliness just posted a great article about skilled labor, and labor trends over the last 100+ years. It is certainly worth a read, and makes you think a bit about job-trends in the US. The satisfaction of being able to say “This is what I did today” is something that I long for more of in my personal work. Griffin works as hard as any of us, here at Almond, but I don’t think he would trade any of us for babysitting an email inbox. Tom Green swam out with Griffin last week to get photos of Griffin riding his 6’8 Pleasant Pheasant. Fortunately the conditions were nearly perfect. I was supposed to join them, and since seeing these photos, I have felt nothing but regret about not being there. 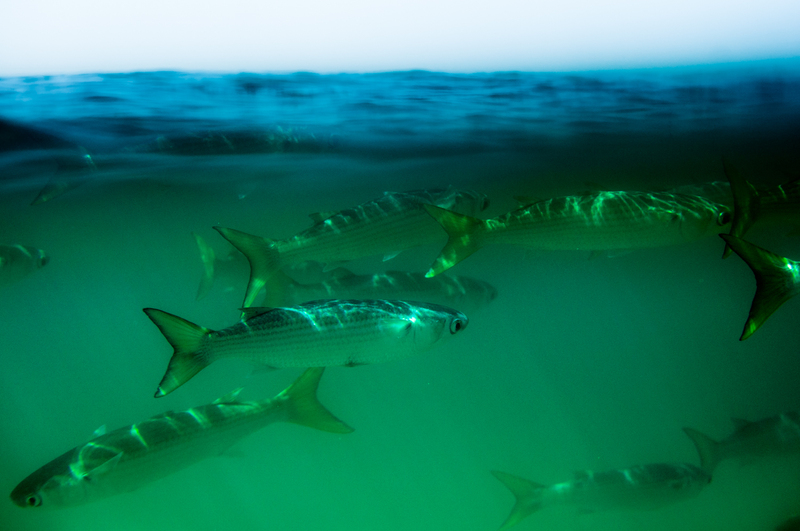 Ran into some friends in the water yesterday... hadn't had a good old-fashioned impromptu surf-party in a while. The level of surfing wasn't at an all-time high... but there were plenty of laughs and shared waves. Rich paddled out on his new 8'4 Pinwheel. Thomas Green was kind enough to suit up and shoot from the water, and provide us something to aim for. If you haven't noticed, we call nearly anything with 3 fins on it a "Trusty Thrusty" so... here's the newest installment of a Trusty Thrusty for Dane Flinn. Griffin loves taking a break from 9'6 triple-stringers every once in a while. Looking forward to seeing what Dane can do with this one when the swell returns. 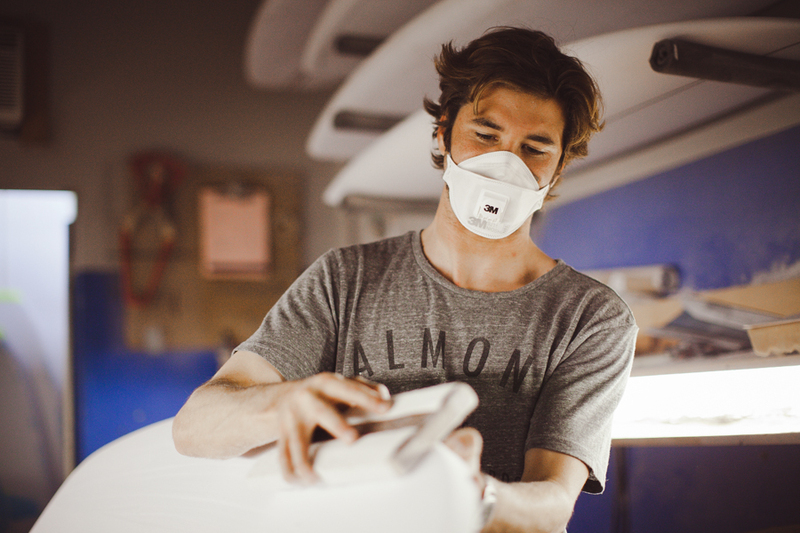 Almond Shaper, Griffin Neumann-Kyle just shaped himself a new 2-board working quiver. 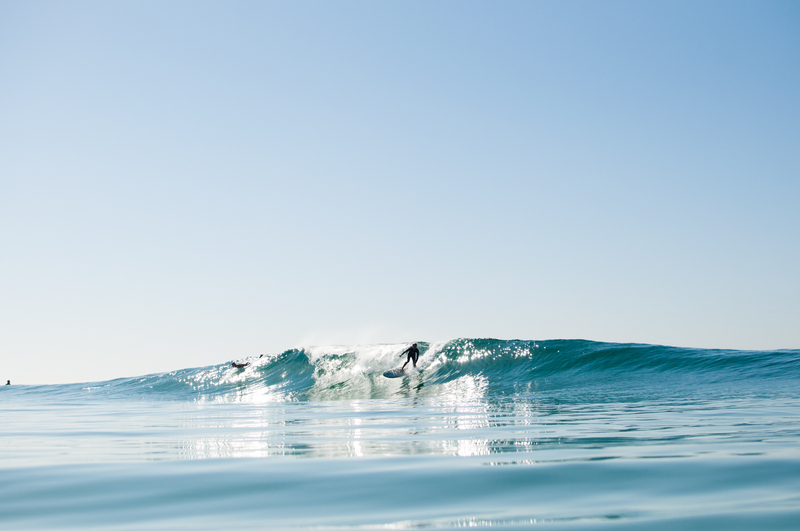 This Winter, he's entrusting his surfing-enjoyment to a 5'6 Quadkumber and a 5'7 Survey. Both of them have 2-tone abstract tint wraps.